We are committed to protecting your privacy and providing you with transparency regarding the personal data that we collect. SECTION 1 – WHAT PERSONAL DATA DO WE COLLECT AND WHY? If you decide to sign up for our mailing list, we collect your email address upon your submission. If you decide to purchase a product through our online store, we collect the information required to complete the sale which includes your billing and shipping addresses as well as your payment information. Note: We also use this information to communicate with you, and screen our orders for potential risk or fraud. When you visit gemsetlove.com, we automatically collect certain information about your device, including information about your web browser, IP address, time zone, and some of the cookies that are installed on your device. 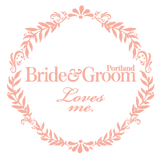 Additionally, as you browse gemsetlove.com, we collect information about the individual web pages or products that you view, what websites or search terms referred you to gemsetlove.com, and information about how you interact with gemsetlove.com. We refer to this automatically-collected information as “Device Information”. Device Information that is collected has only one purpose - to help us improve your customer experience. Signing up for our e-mail list – By signing up for our e-mail list you are agreeing to receive newsletters and marketing announcements that we send periodically. Similar products alert – By submitting your email address for “Notify me of similar products” for a sold out item, you are agreeing to allow us to email you if we have a similar product you may be interested in. Facebook Messaging – By using the “message us” feature on our website, you are agreeing to allow us to contact you over Facebook messenger to answer your direct questions. If you exit the checkout after entering your information without completing the sale, you have still initiated a relationship and we may contact you regarding your shopping cart, for example, we may send you an “Abandoned Cart” email with a reminder that you have left items in your cart. If you select the box next to “Keep me up to date on news and exclusive offers” you are signing up for our e-mail list. If you enter your email or mobile phone, you are agreeing to receive updates about your purchase using that method. Amazon Pay – If you choose Amazon Pay during checkout you agree to temporarily leave our site and redirect to Amazon to complete your payment. If you choose “Save my information for a faster checkout” you agree that we can store your information to improve your ease of use the next time you use our checkout. Direct Email – If you use our contact form or email us directly, you are agreeing that you consent to allow us to respond to you and address your questions or concerns. 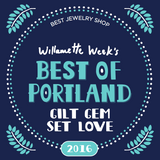 Gem Set Love is located in the United States and Shopify (our e-commerce service provider) is located in Canada. We may disclose your personal information if we are required by law to do so, if you violate our Terms of Service, or to protect our rights. Our store is hosted on Shopify Inc. located in Canada. They are our e-commerce service provider which means that they provide us with the software and security that allows us to sell our products and services to you. Your data is stored through Shopify’s data storage, databases and the general Shopify application. They store your data on a secure server behind a firewall. They are GDPR and PCI compliant. Shopify now permits full account deletion in in compliance with GDPR regulation. If you would like your account deleted, you will make your request by contacting us and then we, Gem Set Love as the merchant, will contact Shopify on your behalf to complete your request. To protect your personal information, we take reasonable precautions and follow industry best practices to make sure it is not inappropriately lost, misused, accessed, disclosed, altered or destroyed. We do not sell or use your information for anything other than what it is intended for. If you provide us with your credit card information, the information is encrypted using secure socket layer technology (SSL) and stored with AES-256 encryption. Although no method of transmission over the Internet or electronic storage is 100% secure, we use Shopify who follow all PCI-DSS requirements and implement additional generally accepted industry standards. As mentioned earlier in regards to Device Information, by using our site you consent to allow us to collect cookies from your device, browser, and your experience with our website. We collect cookies primarily for your Shopify experience and secondarily for our Google Analytics data retention which allows us to review the general behavior of our website to make improvements. Examples of Shopify Cookies include – Session ID/unique tokens which allow you to have a customized experience as a guest. This includes adding an item to your temporary Wishlist. It also includes adding items to your shopping cart so that they are still there when you are ready to check out. Shopify also tracks your activity with a series of visitor-related cookies that tell us how long you stayed on the website, how many times you have recently visited, and what page you used to enter the site. Examples Google Analytics Cookies includes – Demographics such as country, state, and the city of the device IP that you used to access gemsetlove.com. Google Analytics also tracks the pages you visit, how long you stay on those pages, entrance and exit pages, the browser you use, and the type of device you used to access the site.